The mommy makeover, a combination procedure typically including breast augmentation or lift, tummy tuck, and liposuction, is quite popular here on Long Island and elsewhere among women looking to restore their breasts and midsection. But its name can be a little misleading: Often, I see patients for this surgery who aren’t “mommies” themselves. I also see patients whose children are grown and may even have children of their own (which could be called a “grandmommy makeover”, I suppose). The bottom line, though, is that your current health and appearance actually plays a more important role than whether you are a mother (or a grandmother). There’s no definitive upper age limit for plastic surgery, and mommy makeover is no exception. All patients, regardless of age, should be healthy enough to be anesthetized, since a mommy makeover requires general anesthesia. Depending on your age and medical history, you may need to obtain approval from your primary care physician before undergoing the surgery. During your consultation, we’ll talk about your health history, as well as your short- and long-term aesthetic goals. In some very specific cases, I may recommend staging your mommy makeover into 2 or more surgeries. It’s worth noting that the rate of patients undergoing plastic surgery after retirement has risen quite a bit in recent years. According to the American Society of Plastic Surgeons®, people over age 55 represented a quarter of all the cosmetic procedures performed in 2013. 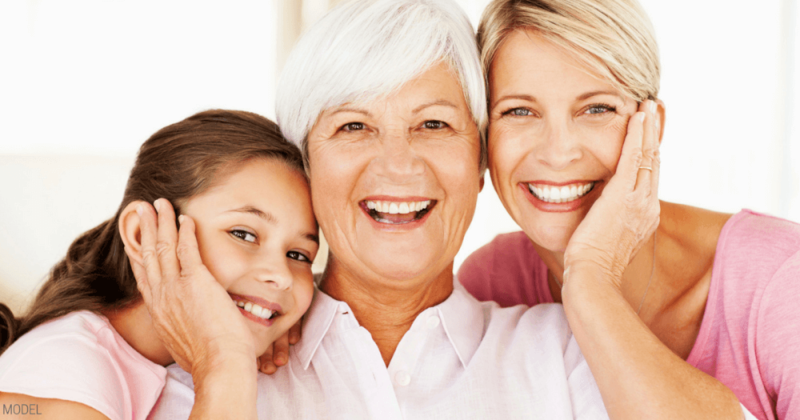 If you’re committed to looking and feeling better, then a mommy makeover may indeed be a great option for you — no matter whether you’re a mom or grandmom. Your age shouldn’t limit your ability to look and feel your best!